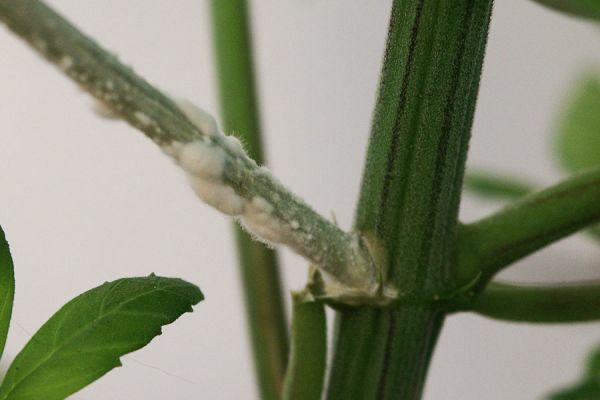 Powdery mildew is one of the most widespread plant pests. It tends to affect flowering plants and fruit trees or bushes (roses, apple trees, etc.) as well as cannabis. The spores are in the air or on contaminated plants in the garden and can easily be drawn into your grow room by ventilators. 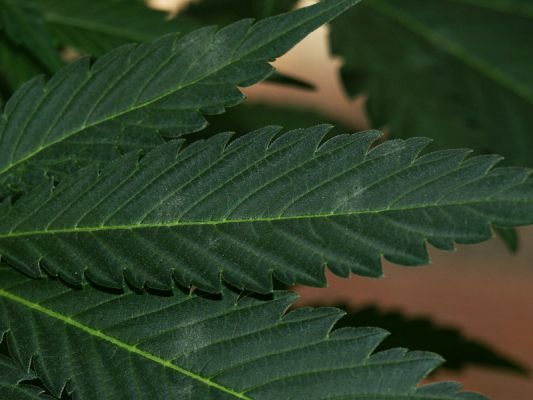 In internet forums and cannabis cultivation books you may find lengthy lists of possible treatments that look temptingly promising for a complete recovery at all stages of mildew infestation. But the authors have rarely tested these products themselves, and the compounds are seldom differentiated between those applicable only for growth, and those also safe to use during flowering. This guide is therefore specifically orientated towards publishing some first-hand experiences with a variety of fungicides, and a review on the specific utilisation of products during growth and flowering in cannabis plants. 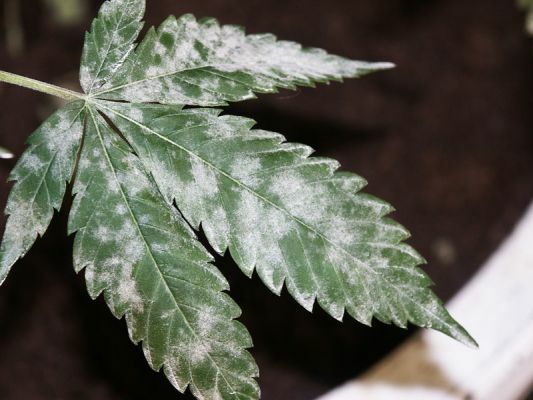 In warm, dry climate powdery mildew spreads widely. But we have also observed heavy infestations particularly after a long and wet winter. The symptoms even disappeared occasionally during a heat wave. 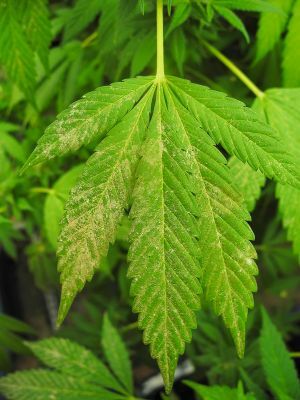 It is therefore unlikely that powdery mildew only affects cannabis plants during a warm and dry weather period. 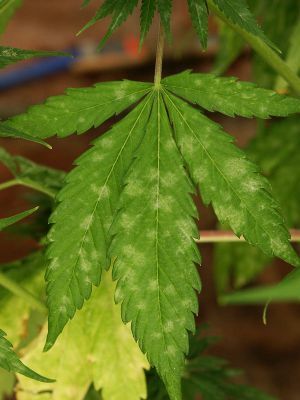 Powdery mildew can be detected by the white-coating on leaves and shoot tips, which succumb to the infestation by atrophy and eventually die. Only the surface of the leaves is contaminated by the fungus. Very heavily infested plants often cannot be saved. Plants affected by this disease and wilting plants should be removed from the garden if you don't want the spores to spread. If the infestation of powdery mildew arises during the last few weeks of flowering it is possible to control an infestation until harvest. A good fungicide can fully combat powdery mildew, but the treatment is often lengthy and takes several weeks. Mother plants and cuttings should be treated preventively so that valuable genetics are not lost. Mildew is a surprisingly aggressive fungus taking second place only to bud/grey mold (Botrytis). If you not only require a fungicide for preventive means, but also to combat an infestation, you may need to alternate between several products for the total period of treatment. In the instructions for use it is stated how often a specific compound can be applied per crop. Since fungicides allowed in organic agriculture can be less effective than synthetic products, all preventative management measures to reduce the primary infestation and to improve the microclimate should be exploited optimally. 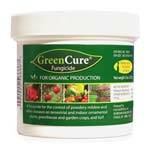 Fungicides are applied at the crucial stages in the development of the plant and the epidemic. Specific traits of the products must be taken into account for outdoor applications (such as rain fastness and hazards to plant health under intense heat or sunlight). Photo 1: The first signs of powdery mildew are small circular white spots. Photo 2: As the infection progresses the mildew becomes more visible and covers the leaf surface. Photo 3: Powdery mildew can spread very quickly; older leaves start to yellow and wilt. Photo 4: A heavy infestation can be difficult to contain. The mildew covers all plant parts and weakens plant defences. Photo 5: Organic residues that cover leaves, such as pollen from seeded buds, easily attracts powdery mildew. The sticky secretions from aphids or white flies have a similar effect. The moldy residues eventually turn brownish-grey with age and can develop black spots. To begin with, it’s important to distinguish the criteria according to which fungicides for organic produce intended for human consumption should be purchased. These criteria ensure not only safety measures for humans, but also for the environment: such as for beneficial insects, animals, and aquatic life. 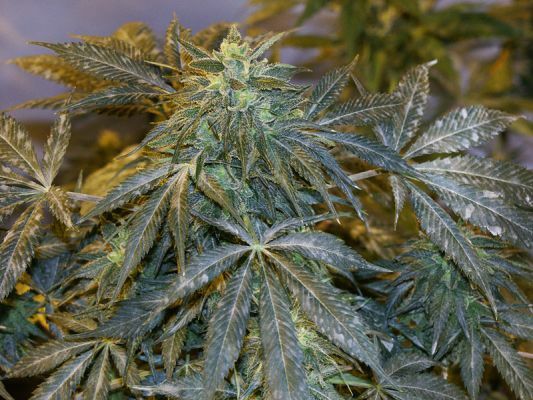 Secondly, the fungicide must be safe to use on a soft-leafed plant species such as cannabis and flowering plants in general (if required for the flowering period). Therefore, the first step when purchasing a fungicide is to check the product information on potential hazards for specific plant species or flowering plants, human consumption, and the environment. Avoid this sign when purchasing a fungicide! Photo: This plant has been treated with sulphur. Sulphur has many disadvantages: it emits a horrible smell, treated plant parts and buds are unfit for human consumption, it cannot be washed off, and the white coating makes it impossible to discern the sulphur from the mildew (so you can’t tell long-term how well the treatment has contained the infestation). With less new fungicides coming on the market due to environmental concerns, more scientific effort is now being put into the use of the genetic potential of plants for pathogen resistance. In addition, scientists are focusing on exploring the development of induced or acquired resistance as an environmentally safe means of disease control. In our breeding projects at Mandala Seeds the immune system and resistance of a strain has always belonged to one of the high priorities. In the OUTDOOR GUIDE of our website you can also check which Mandala strains have been tested for mildew resistance and this helps in selecting the appropriate strain for your region. We have tested several products available on the market in Europe as well as easy to use home-based recipes. One of the most promising are lecithin-based products. Commercial products based on lecithin have become very useful tools in powdery mildew control in central Europe since the product does not cause any off-flavours. It is also harmless to fragile young plants and, most importantly, to flowering marijuana buds. NEUDORFF Neudo-Vital was developed using the concept of "induced resistance" as a pesticidal strategy. Plants release a range of volatile organic compounds in response to pests and pathogens and some of these compounds have been used to induce a resistance response in laboratory tests. A number of plant extracts have been shown to possess such activity. Neudo-Vital is based on three naturally occurring fatty acids and ethanolic plant extracts. There are two versions, one for roses and one for fruit trees and berries. Both will work for cannabis plants during all stages of growth and flowering. The product is available online and in Germany, Austria, Switzerland, Spain, France, Italy, Czech Republic, etc. In an outdoor garden we have also found a diluted milk solution effective during vegetative growth when combined with other products. The idea to use milk as a biological fungicide came from the Brazilian scientist Wagner Bettiol. He experimented with different mixes of fresh milk in order to combat powdery mildew on greenhouse zucchinis and published his findings in 1999. The Australian scientist Peter Crisp from the University of Adelaide tested this method among 40 different alternative methods to combat mildew on grapevines. He discovered that milk or whey showed the best results. The microorganisms in the milk combat the mildew. In addition, the natrium phosphate strengthens plant defences. Diluted milk has been reported as surprisingly efficient in the agricultural sector in Australia, but under central European conditions it is used only rarely on cultivars due to the poorer weather conditions. There is, of course, a big difference between zucchini, grapevines, and cannabis plants. No matter how promising such results look like, they must always be seen in the context of which cultivars require treatment. 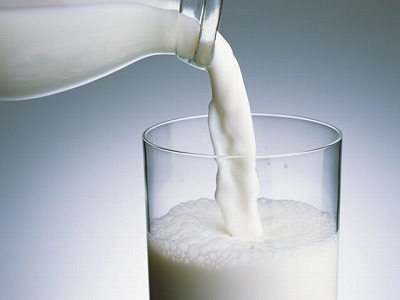 Since milk contains proteins and sugars, infection by grey mold (Botrytis) may be promoted after treatment. That poses a serious risk to flowering marijuana. For this reason it is only recommended to treat cannabis plants with a diluted milk solution during growth and preflowering. For maximal effectiveness the treatments should be alternated weekly with another fungicide. Mix milk and water in parts of 1:9. Spray the plant thoroughly on a sunny day. If no other fungicides are available apply 1-2x weekly. Knotweed extract induces phytoalexins which infer resistance to powdery mildew and other diseases such as Botrytis. In other words, the extract helps the plant fight the mold rather than attacking the mold directly. We have not tested knotweed products yet and therefore the information presented here is only based upon scientific studies on a variety of other plant species. However, these results do indicate promising effectiveness for cannabis too since a large variety of cultivars respond favourably to the treatment. There are two primary products on the market: Milsana® and Regalia®. Milsana® is available in Europe. 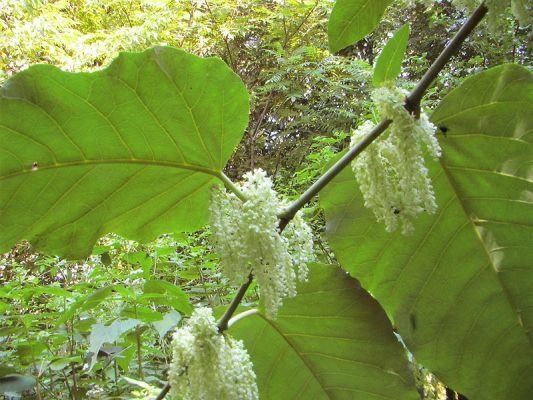 The technical grade active ingredient (TGAI) consists entirely of the dried and ground plant material from harvested Giant knotweed plants grown for this purpose. The end-use product Milsana® is classified as a “Bioprotectant concentrate”. It contains 5% of the ethanolic extract of Reynoutria sachalinensis. Milsana® is recommended as a spray on greenhouse grown plants for the purpose of boosting their natural defence mechanisms against certain fungal diseases. The product should be used as a preventive application mainly for the control of powdery mildew and is used for vegetable and fruit plants in Europe for outdoor/greenhouse cultures. No unreasonable adverse effects on humans or the environment are anticipated from exposure to Milsana®. According to several studies plants such as cucumber, tomato, salad, potted herbs, and strawberries treated with Milsana® were significantly less infected than controls and this protective effect against powdery mildew was maintained over time. When topically applied to various ornamental, vegetable and fruit crops, this product will induce increased amounts of naturally occurring phenolic substances within the plant, which prevent the attack of plant diseases such as powdery mildew and grey mold (Source: Physiological and Molecular Plant Pathology - Volume 61, Issue 2, August 2002, Pages 121-132). On ornamentals and strawberries it is also effective against Botrytis or grey mold. It remains to be seen if it has the same effectiveness for marijuana. Baking soda has been one of the basic fungicides in use to compbat powdery mildew but it has disadvatanges too. A much more effective product is GreenCure® - a potassium bicarbonate-based fungicide that has been proven to cure and prevent powdery mildew, fusarium, and many other fungal infections. GreenCure® is being used with success by growers in the USA but there are a couple of restrictions for applying it on cannabis that need to be considered. Potassium Bicarbonate is a naturally occurring compound that is widely used in food and is an integral part of humans, animals, plants and virtually all living organisms. 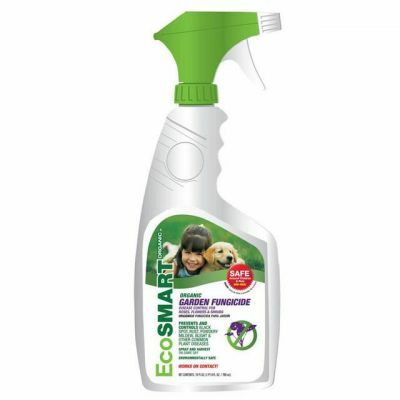 It is environmentally friendly and recommended for use on over 150 different flowers, trees, fruits and vegetables. It can be used in organic vegetable production and even indoors. It was found that potassium bicarbonate is 25- 35% more effective than sodium bicarbonate (baking soda). In addition, an effective "spreader-sticker" was needed to evenly spread and stick the potassium bicarbonate over a leaf surface to give it the ability to be a powerful fungicide and have lasting and preventative characteristics. Garlic is cheap and readily available. This has made it a favourite “home-grown” pest control, especially among organic gardeners. 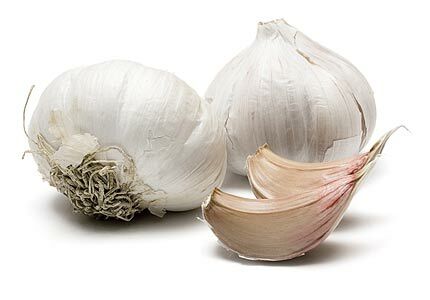 The volatile antimicrobial substance allicin (diallylthiosulphinate) is produced in garlic when the tissues are damaged during crushing or chopping the garlic. Allicin in garlic juice inhibits the germination of sporangia (in which the spores develop) and thereby acts as a fungicide. You can buy readymade garlic extracts that are very effective in three ways: as a natural insect repellent, as a fungicide, and plant strengthener. Alternatively, you can make your own juice by using a homemade recipe. Garlic extracts are not suitable for seedlings and should not be applied under direct sunlight. Garlic GP Ornamental Fungicide is a commercial product available in North America. Silicon: increases plant resistance to pathogenic fungi possibly through an interaction with defence responses. Silicic acid may play a role in systemic resistance. Several organic products are available containing soluble silica such as Humisolve (more info at www.bioag.com), or you can make your own homebrew fertilizer with nettles to treat outdoor plants during growth. Vitamin B1: induces SAR when applied to vegetable crops and increased resistance to fungal, bacterial and viral infections. Riboflavin or Vitamin B2: induces systemic resistance on tobacco and could perhaps work with cannabis too. For ensuring plant health any preventive measures can be extremely important. Obviously, it is much better to prevent an infestation from the start – especially when the disease is so aggressive and easily transmitted from plant to plant. These recommendations are based on practical gardening experience from our expert breeders. Infected leaves or buds should not be smoked or used for cooking! Mandala Seeds shall not be responsible for the use of any information herein presented and you must make your own decision as to its suitability and completeness for your use. We are not responsible for the use of a product mentioned and any effects or consequences it may have on your cultivation.